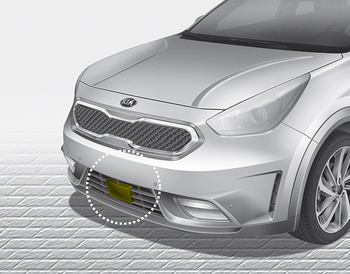 The sensor is to maintain a certain distance from the vehicle in front. However, the smudged sensor lens with foreign substances, such as snow and rain, adversely affects the sensing performance. It may even temporarily cancel the AEB. Always keep the sensor lens clean.